If you use the Dodo Pad or Acad-Pad you’ll have noticed that Burns Night (in honour of Scotland’s national poet Robert Burns) was on Monday. This year was the 251st anniversary of his birth. You’ll also have noticed (the tartan being hard to miss) the handsome Scottish theme of this week’s pages! We had a rousing Burns Night here at Dodo Towers! We had pipers and dancing and heaps of haggis. Lord Dodo looked positively dashing in his kilt. 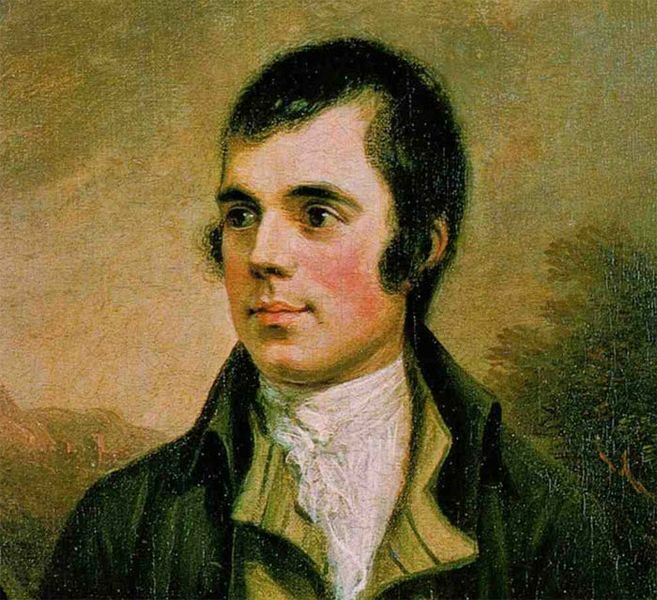 His Address to the Haggis was absolutely thrilling – and I jumped in my seat at the bit where he plunged the knife in! Bert Whistle (General Factotum here at Dodo Towers) did the Toast to the Lassies – my, he was hilarious! We nearly fell out of our seats laughing. Miss Davinia Dalrymple (Stock Control) did the Lassies’ Reply, which even Bert conceded was uproarious. I enjoyed a dram (or possibly two) of the fine whiskey from Dodornoch Distillery during the many toasts of the evening, leaving me feeling a bit wobbly yet slightly exuberant! Lord Dodo then told us a story about his ancestor Hamish McDodo, a contemporary and companion of Burns himself. (Those of you who are long-time Dodopadlers may recall a previous description of Hamish’s violin playing at one of their parties, causing Sir Walter Scott to comment, “McDodo fiddled while Burns roamed!”) It seems the McDodo clan was known for their merry-making and Hamish was no exception. He and Burns had many long evenings filled with wine, women and song! In this week’s pages of your Dodo Pad or Acad-Pad you will have the privilege of observing a brilliant first-hand sketch by Lord Dodo’s longtime friend Lis Cheshire, of the exceedingly rarely seen Haggis Dodomesticus. I’ve never seen one myself even in all my time visiting Glen Dodoe, where they are known to roam the hills and glens in secret. Well done Lis! I hope you all enjoy the last days of January! I can scarcely believe it’s nearly February. My how the time does fly! His lordship is aleady deep into planning 2011 for us – and goodness, this 2010 year has barely begun!